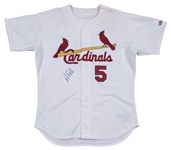 The peerless slugger Albert Pujols wore this white St. Louis Cardinals home jersey during his rookie season in 2001. 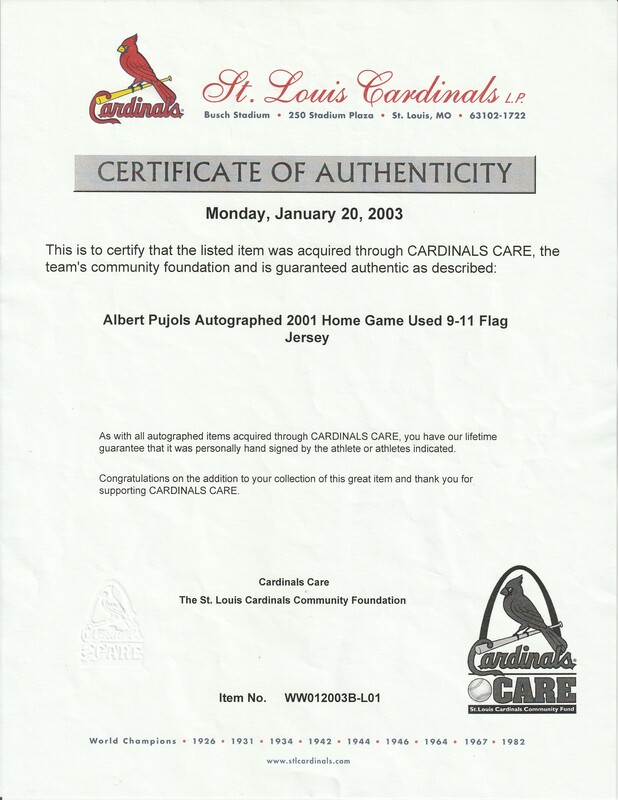 Pujols, who played a single year of minor league ball in the Cardinals farm system, ran away with the 2001 National League Rookie of the Year award. The future member of the 600 Home Run Club mashed 37 longballs in his rookie campaign, adding 130 RBI and a sky-high .329 batting average for the 93-69 Cardinals. 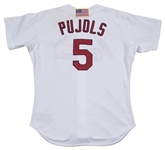 Pujols added 47 doubles, 69 walks, and 112 runs scored to his prolific 2001 statistics. 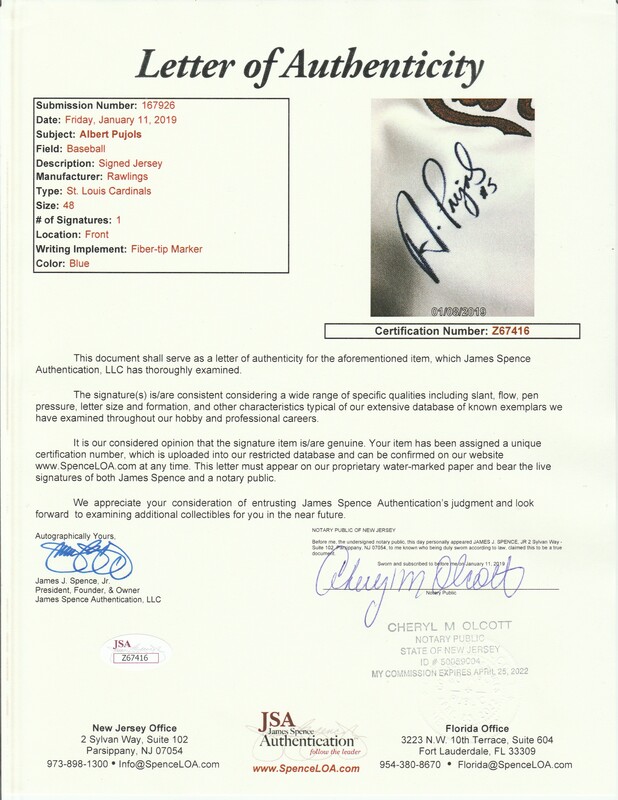 The native of the Dominican Republic was named to the first of his 10 All-Star teams and was named the Rookie of the Year while garnering 100% of the first place votes over Roy Oswalt and Jimmy Rollins. As the 2019 season opens, Pujols is the active career leader in home runs (633), RBI (1,982), runs (1,773), doubles (633), intentional walks (310), and more. 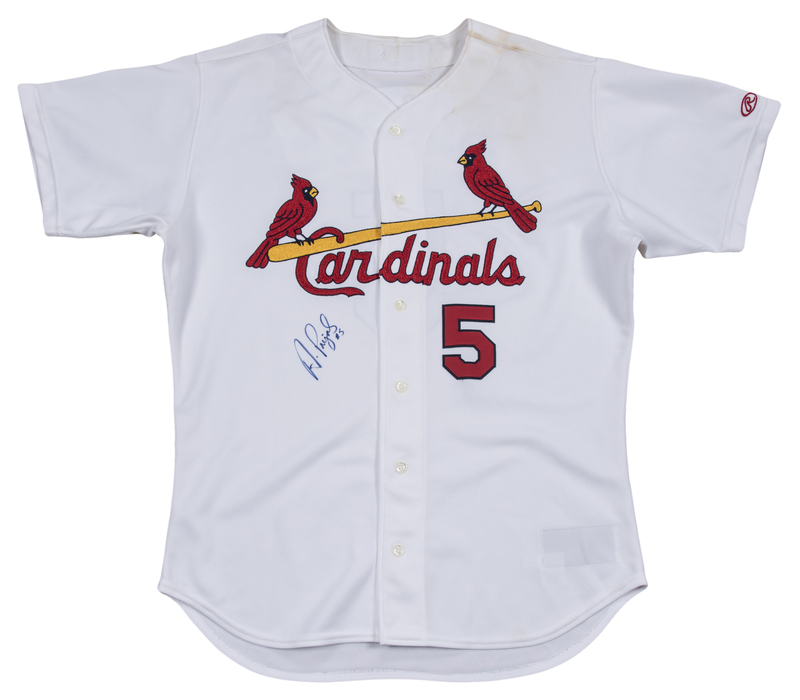 This timeless button-down home jersey has “Cardinals” and the team’s iconic “Birds on a Bat” logo sewn on the chest in red, navy, and yellow chenille stitching. 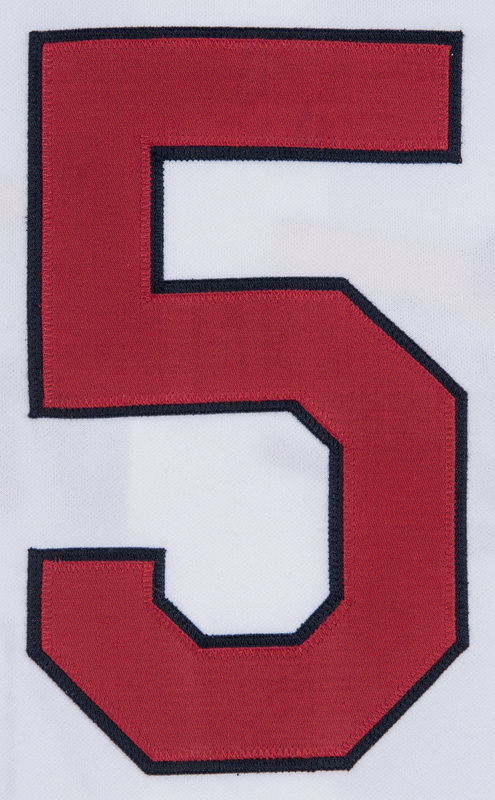 Pujols’ number “5” is sewn on the chest and back in red and navy tackle twill. 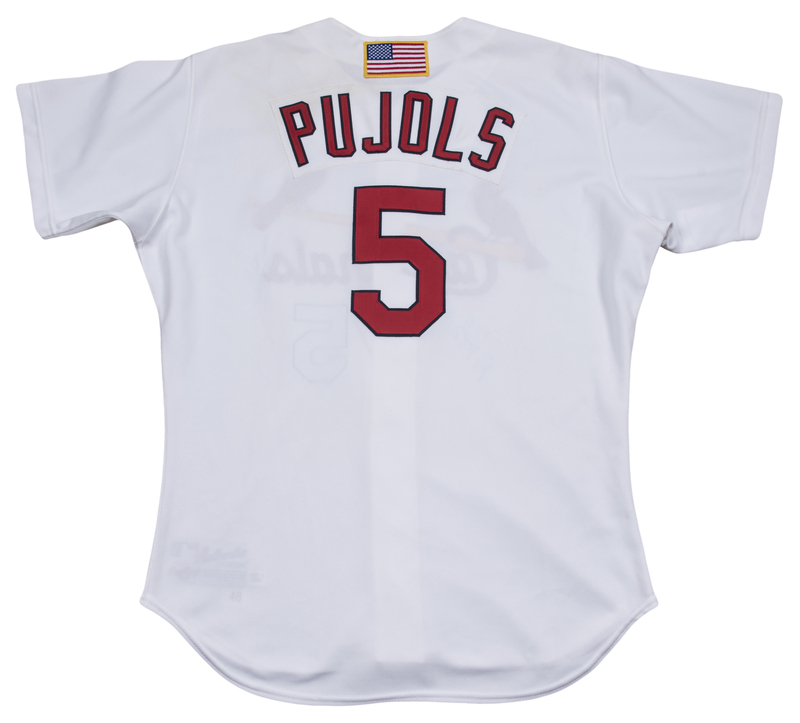 “PUJOLS” is sewn across the back shoulders in red and navy tackle twill over a matching white nameplate. An American flag patch is sewn on the back outside collar. A red Rawlings logo is sewn on the left sleeve. 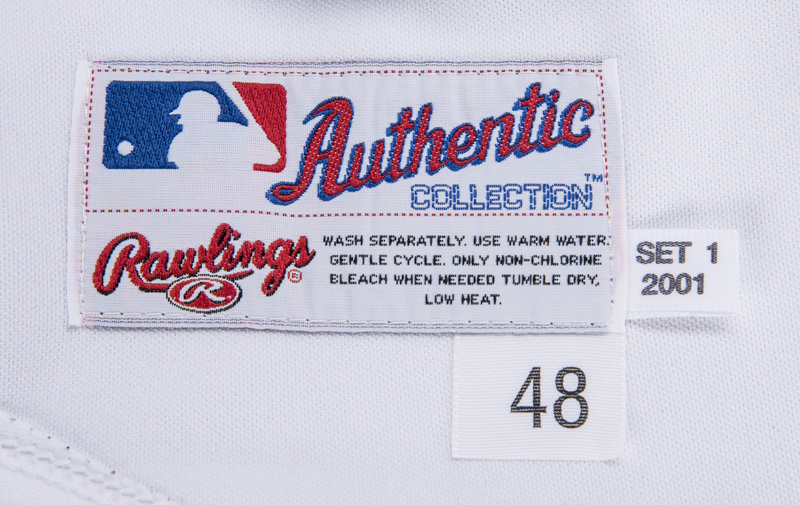 A Rawlings tag with attached size “48” and “Set 1 2001” flags is sewn on the inside front tail of this jersey. 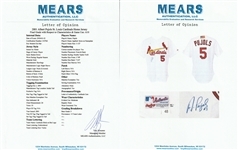 Pujols has signed the chest in blue marker, inscribing “#5” below his signature. 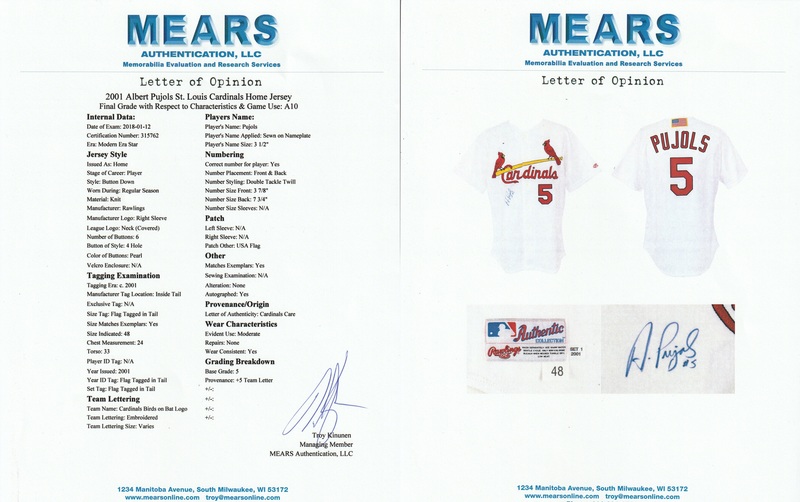 This jersey comes with a LOA from JSA (Z67416) for the signature, a LOA from the St. Louis Cardinals, and a LOA from MEARS that assigns the jersey a perfect A10 grading.